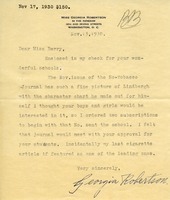 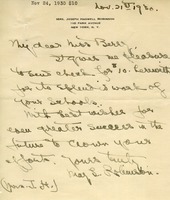 Mrs. Robinson writes to Miss Berry with a donation for the school and gives her best wishes. 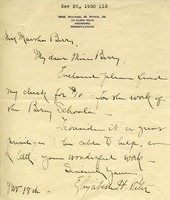 Mrs. Janet M. Roberts sends $2.00 to the Berry Schools for Tommy. 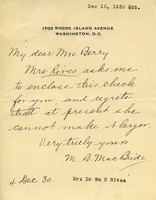 M. B. MacBride writes on behalf of Mrs. Rives and sends a check for $25 to the Berry Schools. 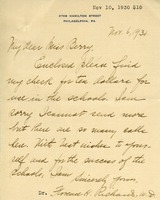 Mrs. Elizabeth H. Riter sends a $10.00 donation to the Berry Schools. 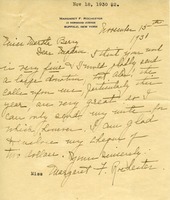 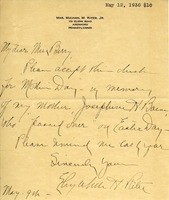 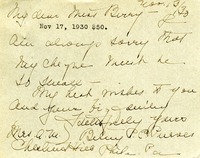 Mrs. Riter writes to Martha with a check for mother's day in memory of her own mother. 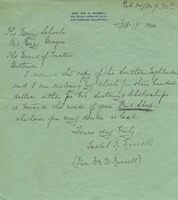 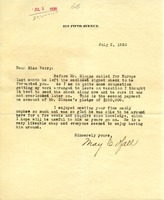 M. Ellen Richards sends Martha Berry a check for $5.00 in response to the news of the drought and its affect on the School. 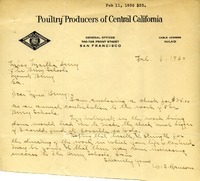 Filomena writes to Mrs. Hammond with a donation for the Berry Schools having always been interested in the Berry Schools and considers it a privilege to help in any small way to the School. 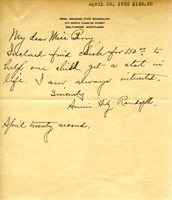 Mrs. Randolf encloses a $150 check to help some child get a start in life.